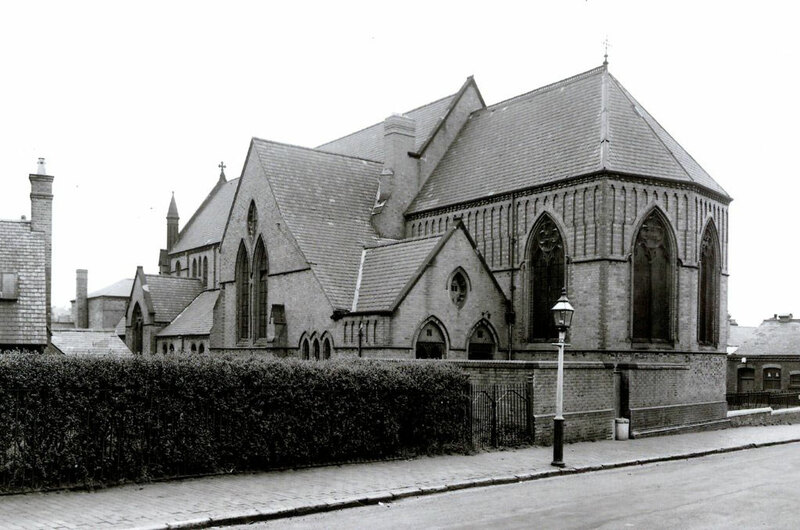 As urban development expanded onto the wasteland of Birmingham Heath in the second half of the 19th century, new churches were built to cater for the new residents, most of them working-class families. This church was designed by the multi-talented John Cotton of Temple Row. This drawing of St Chrysostom's was taken from the marriage certificate of Thomas Wallis of Ladywood and Annie Worsey of Winson Green 20 September 1902. Thanks to Ted Rudge for permission to use the image. See his website Winson Green to Brookfields - http://www.ted.rudge.btinternet.co.uk. Map above from 'The Royal Atlas of England and Wales’ 1898 by J G Bartholomew for George Newnes Ltd from the Mapseeker website - reuse permitted for non-commercial purposes. Birmingham Heath, north-west of the town, is largely now Winson Green. It was the manor's poor agricultural land and considered to be undeveloped 'waste' until the bulk of it was enclosed by a parliamentary act in 1798. The Heath was divided between the local landowners. Although the Birmingham Canal attracted a ribbon of industrial development along its banks and a number of country mansions were built along the Dudley Road, initial development was slow. From the middle of the 19th century the cheap, unattractive and extensive land of the Heath proved a boon to the Birmingham Borough authorities when public institutions were needed for the expanding population of the town: The Borough Gaol 1849, All Saints Hospital 1850 and Birmingham Workhouse 1852. And extensive housing took place during the last quarter of the 19th century, much of it in long closely-built terraces aimed at the artisan and working class. Photograph taken from Park Road with Musgrave Road on the right of the church courtesy of Ted Rudge. See his website Winson Green to Brookfields - http://www.ted.rudge.btinternet.co.uk. The first church to open here was All Saints’ in 1881, with new parishes being taken out of it as housing development spread north-west from the city centre. Park Road or St Chrysostom's Mission opened in 1888 and was consecrated the following year as St Chrysostom's Church with a parish assigned from that of All Saints' in 1890. 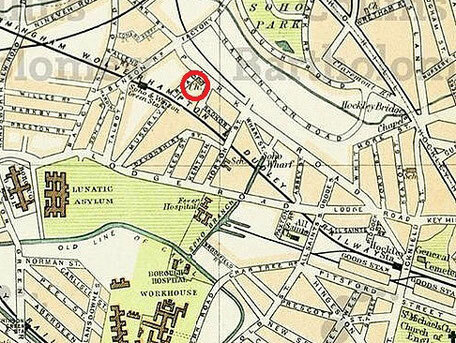 The church was almost on the boundary with Handsworth which followed Hockley Brook just north of Park Road. St Chrysostom's was designed by the Bromsgrove architect, John Cotton whose office was in Temple Row, Birmingham. It was in Early English style and built of brick with stone facings. The church consisted of a chancel, nave, aisles, transepts, north porch and the first stage of a tower that was never finished. In 1972, the parishes of All Saints, Bishop Latimer and St Chrysostom were united to form the benefice of Bishop Latimer with All Saints. 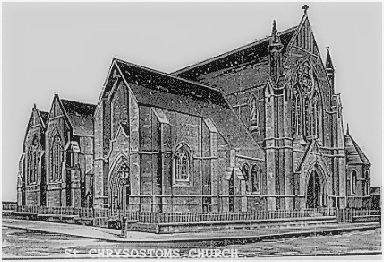 St Chrysostom ceased to be used from this date and it was demolished in 1974. Winson Green to Brookfields - http://www.ted.rudge.btinternet.co.uk/id36.htm.